For our history of the book collection, an example of an unusual printing method for music (or anything): stenciling. 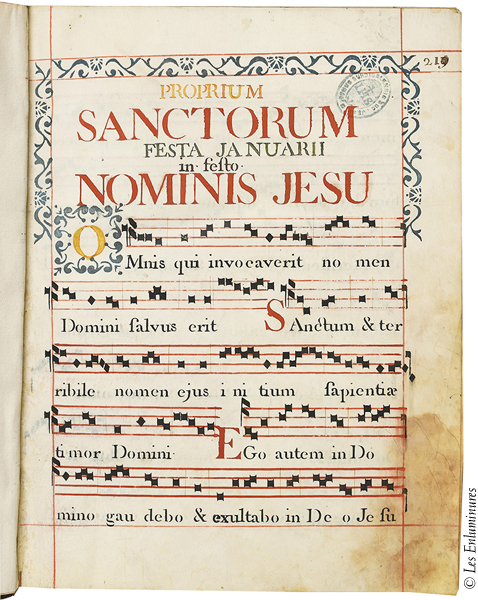 Description from Les Enluminures: Antiphonal for the Day Offices, Diurnale Carmelitarum in quo continentur omnia quae cantantur in choro per annum [Carmelite Diurnal Containing Everything Sung in Choir throughout the Year]. 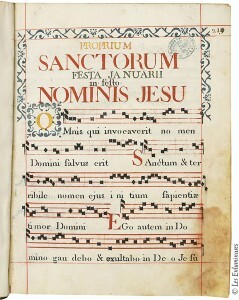 In Latin, stenciled manuscript on parchment with musical notation. France, Paris, eighteenth century, ca. 1700-40 (?) (after 1689). 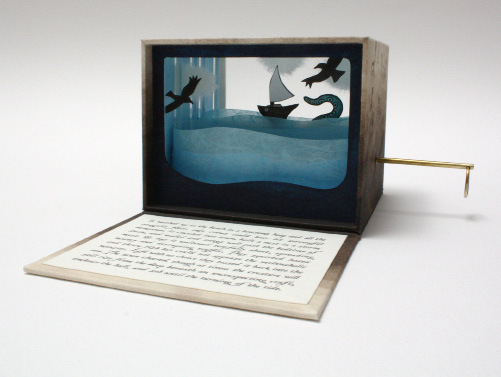 Jumping ahead about three hundred years, we have a diorama-style artists’ book, Bryan Kring’s Sea Monster. From the Abecedarian Gallery description: “When the brass ring is pulled, the waves move, the sailboat rocks, and the arm of the monster rises threateningly.” Yes, it does, and it’s wonderful. 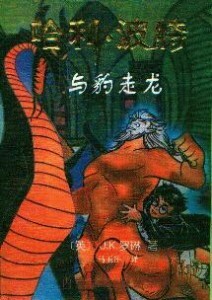 Last and perhaps least, Harry Potter and Leopard Walk Up to Dragon, an unauthorized Harry Potter book in Chinese, with illustrations stolen from Disney and other sources. This will be a useful book for Harry Potter fans and anyone interested in copyright and intellectual property. See this article for more information. This entry was posted in new acquisitions on April 16, 2014 by ccspecialcollections.